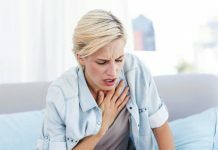 Younger women who smoke have more than double the risk of stroke (stroke warning signs) compared to nonsmokers, with the heaviest smokers among them having nine times the risk, according to a U.S. study. The research assessed stroke risk in women 15 to 49 years old who smoked cigarettes. Current smokers were 2.6 times as likely to have a stroke than women who never smoked, according to researchers led by Dr. John Cole of the University of Maryland School of Medicine in Baltimore. Women who smoked the most faced the highest increased risk, said the study, published in the American Heart Association’s journal Stroke. For example, women who smoked 21 to 39 cigarettes a day had a risk of stroke 4.3 times higher than a nonsmoker, while those who puffed at least two packs a day — 40 cigarettes — had a stroke risk 9.1 times higher than a nonsmoker. It has been known for a long time that smoking increases the risk of stroke, along with many other health dangers such as lung and other types of cancer, lung disease and heart disease (heart disease in women). But Cole said less was known about how stroke risk was affected by the number of cigarettes a person smokes. Strokes typically occur in people older than this study population but the research demonstrated that, even in younger women, stroke risk is greatly increased. Previous articleDoes Vaginal Douching Safe For You? 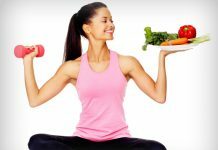 Next articleEffective Fitness Tips For Women To Stay Healthy And Fit!